First, a national newspaper had some weeks ago published three documents — in partial form — which suggested that the Prime Minister’s Office (PMO) was directly involved to influence negotiations, that the National Security Advisor had met with the French team and the Air Wing of the Ministry of Defence had thereafter made recommendations on waiver clauses, and that there had been three dissenting voices from the Indian negotiating team on the deal. 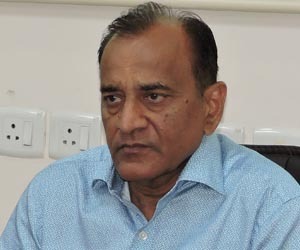 Second, three petitioners — a senior advocate and two former Union Ministers who had earlier unsuccessfully approached the court demanding a probe into the deal — returned with a fresh petition for a review of that order (which had given the Government a clean chit) in light of the published documents. Third, the Attorney General of India, on behalf of the Union Government argued that the published documents could not be relied upon because they related to privileged information covered under the Official Secrets Act; that those documents had been taken out of the ministry surreptitiously; that the documents were “selective and incomplete presentation of facts”; that in sum the maintainability of the review plea based on such documents, was questionable. Fourth, the apex court dismissed the ‘preliminary objections’ the Attorney General had flagged and said that the review petitions would be adjudicated “on their own merit by taking into account the relevance of the contents of the three documents, admissibility of which, in the judicial decision-making process, has sought to be questioned.” It noted that “the test of admissibility of evidence lies in its relevancy”. Major issues have been raised is pursuant to the court’s statements. The first concerns the publication of ‘privileged’ material. The Government’s argument was that such documents are barred from disclosure under the Right to Information Act of 2005, through exceptions provided under Section 8(1) of the Act. Also, Section 123 of the Indian Evidence Act, 1872 — which is relevant to the present case because the documents are sought to be made evidence in the case by the petitioners — deals with classified material. The apex court held that there was nothing in the Official Secrets Act, 1923, which could justify ‘prior restraint’ in the publication of so-called secret documents. In other words, action, if any, could be initiated only after such documents are published. Besides, the protection under the Section 8(1) related to sustainability of public interest. The court said, “When the documents in question are already in the public domain, we do not see how the protection under Section 8(1) of the Act would serve public interest.” The court pointed out that Section 123 of the Indian Evidence Act related to only unpublished documents. Since the issue at hand was about documents already in the public domain, the court said that the quoted Indian Evidence Act was immaterial in the case. Here are the concerns which flow from the court’s position. Individuals and organisations can obtain classified material through various means under various motivations, get them published, and facilitate their use as evidence since there is no prior restraint and since the Indian Evidence Act deals with only unpublished material. The published documents could be sensitive in nature, have implications for national security or relations with other countries. The argument that action can be taken against the offender(s) if the published documents violate the exceptions provided for in the Right to Information Act or the Official Secrets Act, is akin to bolting the stables after the horses have fled. Besides, just as it is the court’s right to determine whether sensitive documents that have been made public through unofficial means, are in the national interest, it should also take into account the means through which they have been obtained. Illegally obtained classified material ought to invite some disapproval or more substantive action. 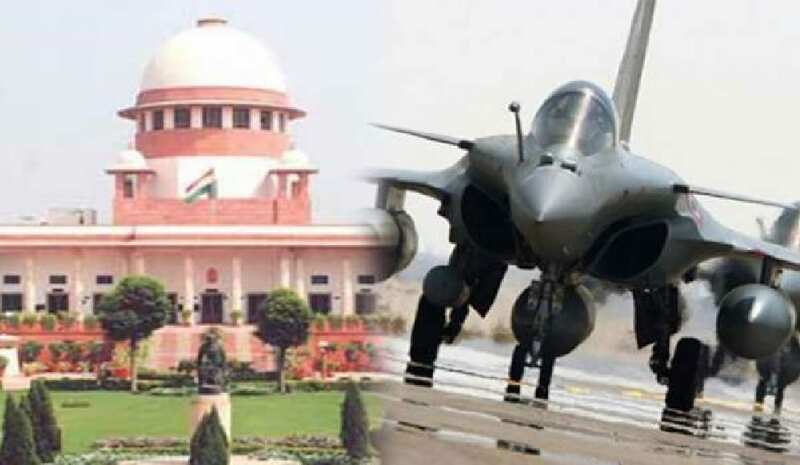 With the Supreme Court upholding the relevance of the documents thus published in the Rafael case, the Government will now be compelled to press forward its case that the material was selectively culled from the official records and put out in the public domain for the specific purpose of distorting facts. The only way it can do so is to provide the court with the entire, unedited documents. The catch is that the Government has all along maintained that the material is classified. And yet, it now has to make public — or at least give it to the court with a request that it be kept confidential — that very same papers. The primary issue that emerges from the above legal contest is that of effectively balancing the secrecy of sensitive documents with serving the cause of public interest. Justice KM Joseph, one of the three judges on the Bench, said: “In regard to documents which are improperly obtained and which are subject to a claim for privilege, undoubtedly the ordinary rule of relevancy alone may not suffice as larger public interest may warrant in a given case refusing to legitimise what is forbidden on grounds of overriding public interest.” The other two judges, Chief Justice of India Ranjan Gogoi and Justice SK Kaul, observed that Section 8(2) of the Right to Information Act “contemplates that notwithstanding anything in the Official Secrets Act and the exemptions permissible… a public authority would be justified in allowing access to information, if on proper balancing, public interest in disclosure outweighs the harm sought to be protected.” In conclusion, the three-judge Bench adopted a “practical and common sense approach” in taking into consideration the published material, finding it “meaningless” and an “exercise in utter futility” to refrain from reading and consideration of the material already in the public space. Finally, some sections opposed to the Centre have raised the matter of Press freedom, on the pretext that the Government’s stand in the court sought to strike at such freedom since the controversial documents have been published by some media groups. The fact is that, at least in the present context it is a non-issue since the arguments essentially related to material already published by the media, and the Government did not argue before the court in favour of action against the media platforms which carried the material. Nevertheless, Justice Joseph’s observations are to be noted. He said that the Press’s freedom in the country was “no higher than the right of the citizens under Article 19(1)” and that the Press could not be “biased”. He also said “transmitting biased information betrays absence of true freedom”. This, along with the rest, is some food for thought.